This guide explains how to configure your 2checkout account so it works with your Yclas website. At first, you need to create an account on 2checkout. Enter your personal/business details to activate your account, go to your dashboard and click Account -> Site Management. Select the Pricing Currency you want to use. 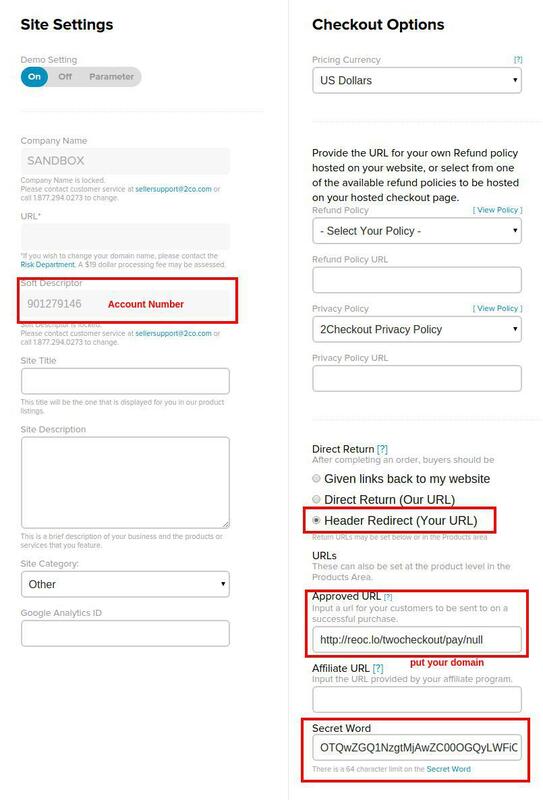 Enter http://yourdomain.com/twocheckout/pay/null/ in Approved URL field. Login to your website as admin, go to Settings -> Payment, 2checkout and fill Account Number and Secret Word fields. You can find these values in your 2checkout dashboard (see the image below).